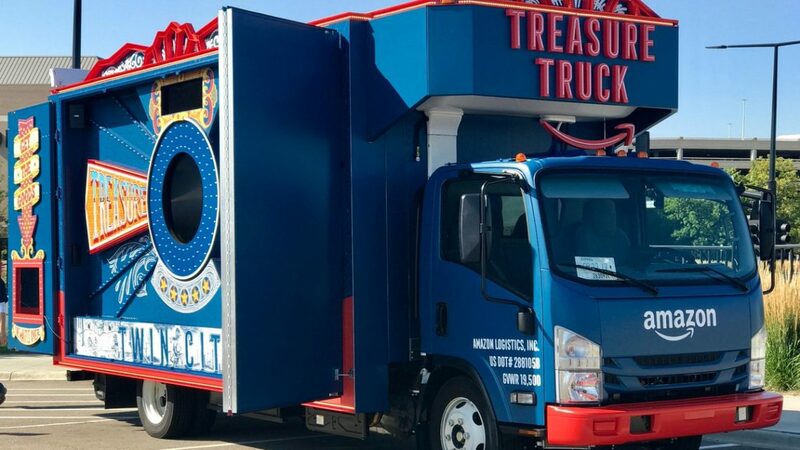 The Amazon Treasure Truck may be coming to your city next. So, remain with us and learn if you will be able to go shopping the very best Amazon Treasure Truck offers. What is Amazon Treasure Truck? For sure you have actually heard of Amazon since it is the best e-commerce company offering goods to the general public. And also about their future of grocery shopping, Amazon Go. Yet, nevertheless, they have actually not handled to deliver stuff in my country… So if you live somewhere where you have the possibility to buy stuff from Amazon, lucky you! In addition to this fact, I want to emphasize that the Amazon Treasure Truck which is basically a ‘Santa Claus coming every day’ is coming to the streets of America bringing purchased items much faster. The Amazon Treasure Truck lives since 2016. It provides low-cost deals. Ever since the company surprises us with new deals. Have you heard about that NES discount from $200 to just $60? Yes, Amazon offers this type of deals. To add, I am sure that once the holidays will get close, you will have a chance to purchase interesting items and gifts. To keep it a bit mysterious, the Amazon Treasure Truck will offer different items every day. From food to fashion, to electronic devices… Basically, anything that Amazon chooses to discount. Until now, the deals have included NES, Harry Potter books, Lays chips, steaks, GoPro etc. If you have the app installed on your mobile device, you will receive a notification every time the truck is near you and what is the latest deal. If you are afraid that you will not get right on time to take your product, no worries! You can make a purchase ahead of time, and get it when the truck arrives. 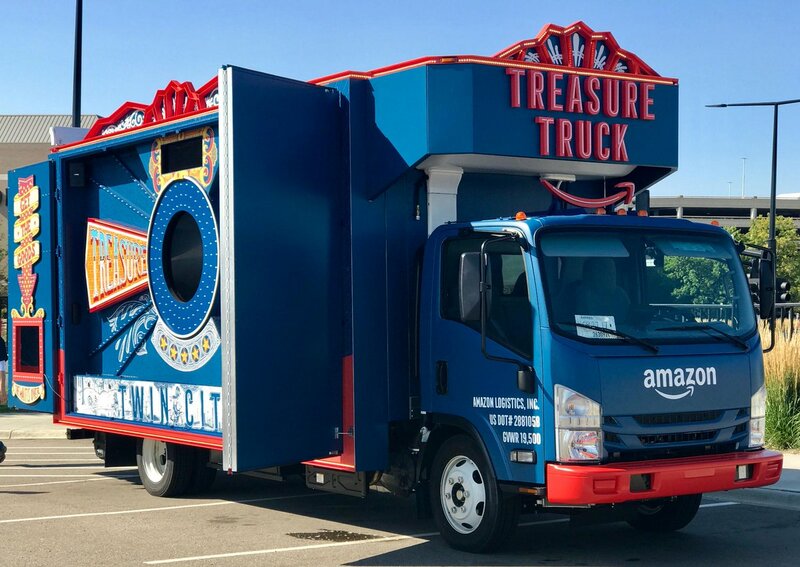 Lastly, for those who wondered whether the Amazon Treasure Truck will stop in their city, these are the newest locations offered by Amazon: Phoenix, Portland, San Antonio, Austin, Nashville, New York City and Tampa for now. We hope that the Amazon Treasure Truck will be joining Europe soon as well.